For our final good deeds of 2018, we returned to our roots: Yep, we visited 777 Sinclair Street, the building that housed the Estipona Group before we went virtual in 2008. This building obviously attracts tenants that are dedicated to good deeds, as it now serves as a satellite location for the Children’s Cabinet and many of its programs. Visiting 777 Sinclair Street to shoot our final EG Rewind gave us the opportunity to learn more about what the Children’s Cabinet does for older kids, and that’s when we decided to dedicate our final two good deeds to them. As part of the Children’s Cabinet’s focus on the whole family, they have created the Redfield Academy, which provides Washoe County students at risk of dropping out of high school with the opportunity to recover credits and work toward graduation. Obviously a big part of the learning is about the reading, so for Good Deed #24 of #25Years25Deeds, we worked with the Children’s Cabinet to provide the gift of literature and to help plant the seeds that will ultimately grow a school library. 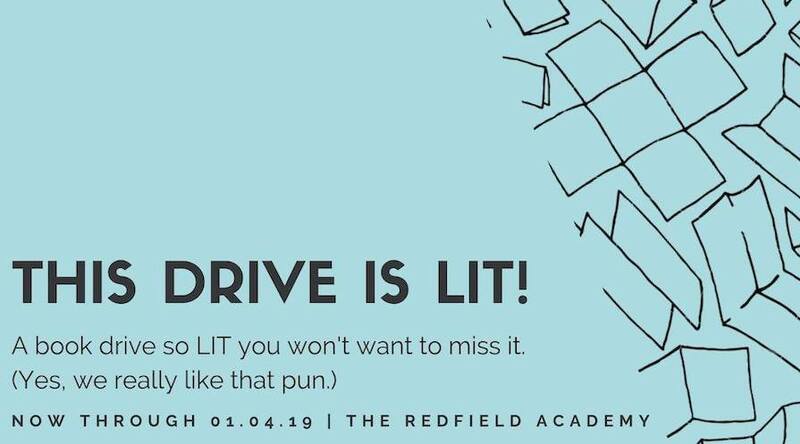 While the drive officially ends on January 4, the Redfield Academy will continue to accept donations of books, cash or gift cards. And our final good deed of the year, #25, is a promotional video we’ve scripted, filmed and edited that Redfield Academy administrators will use to explain their mission. This is currently in progress, but we’ll update you on it as soon as it’s done!